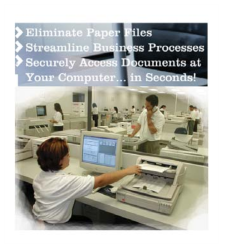 Shirazi trading provides a bureau service to take all of your document scan and organize them and convert them on to CD document management system. we take the hard work out of keeping permanent and secure records of your documents, which you can access when and where you need them. Our proven document management system works seamlessly with industry-leading software, ro sca, index, store and retrive all the images you need. its the ideal solution for virtually any application. large or small, including commercial and engineering. it can locate and display images from millions of records in seconds. Our approach allows you to choose between a stand alone system, retrieving from the cd/document management system or a live system where the scanned image scan be networked throughout your organization. Our system grows with you and your requirements.